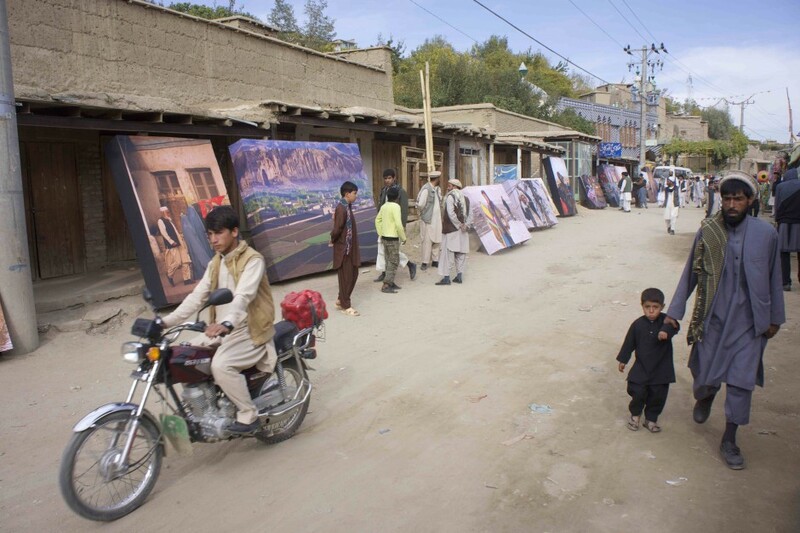 In 2008, Mountain2Mountain launched the Streets of Afghanistan project. After touring the U.S., the exhibit of 29 10×17 photographs now returns to its source. 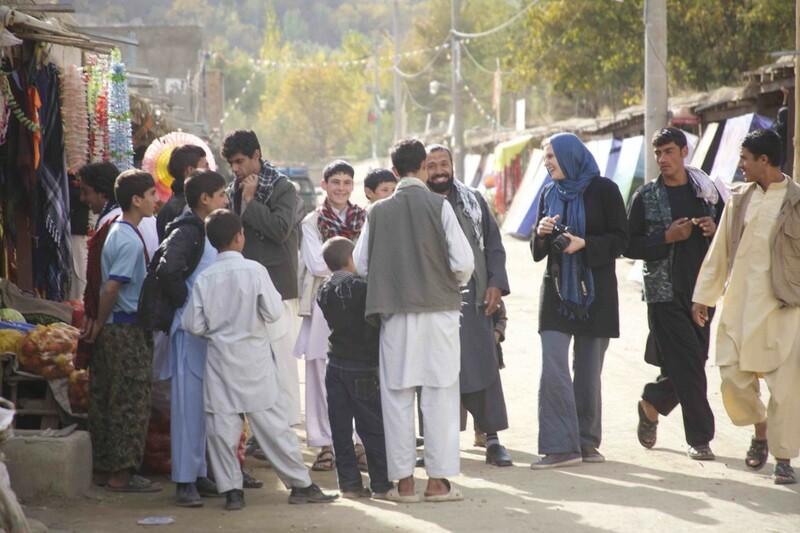 STREETS OF AFGHANISTAN premiered in the remote village of Istalif, on the Shomali Plain north of Kabul. 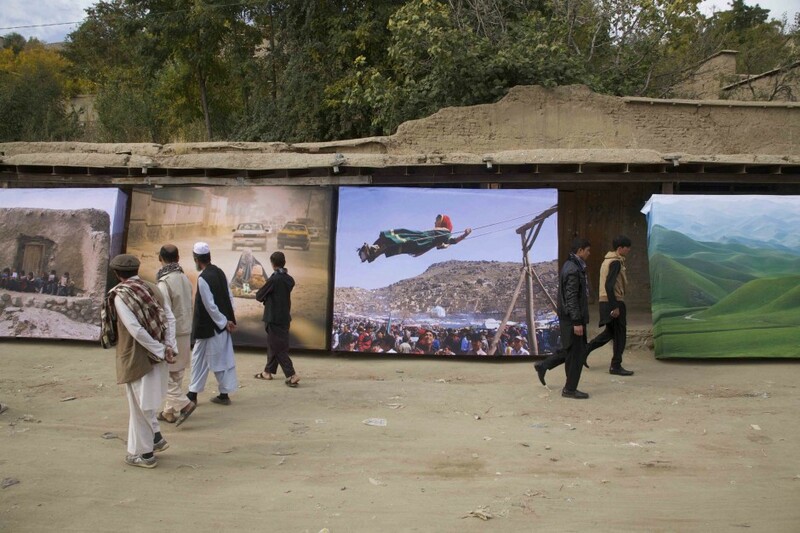 Four years ago, I envisioned a collaborative photography exhibition between Afghan photographers and Western photographers that shared a deep affection for this country. Instead of a gallery show, I imagined immersing the viewer in the images, to bring the art off the wall and into the viewer’s world. 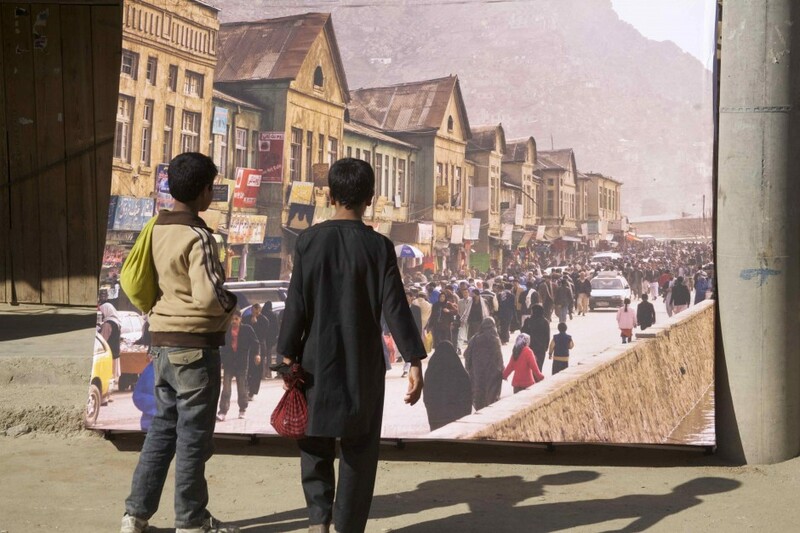 I wanted to see people’s reaction as they interacted with life-size images and hoped it would change American perspectives of Afghanistan — that if we saw it as a country with a beautiful spirit and culture, we would be more invested from a humanitarian perspective. 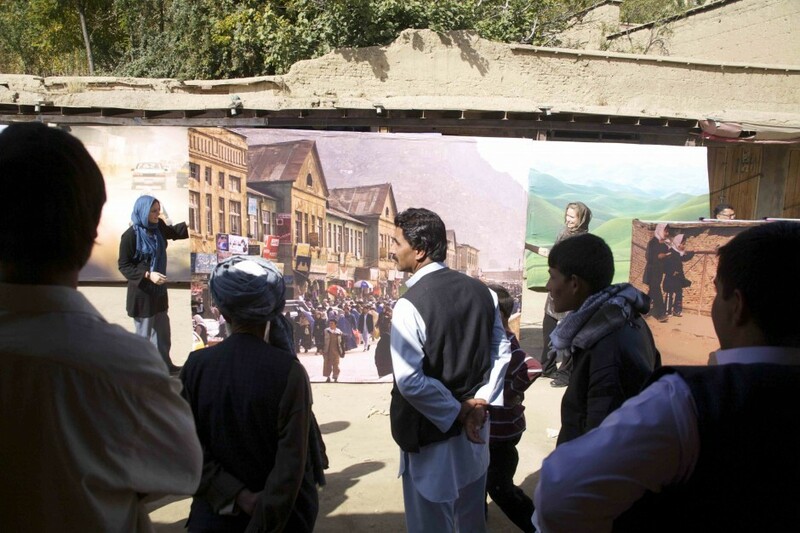 Two weeks ago, I saw that vision come full circle as we brought the exhibition to Afghanistan, to Afghans themselves. 28 photographs lined the market streets outside of the mosque on the first day of Eid in the village of Istalif, and the reaction was nothing short of amazing. HELL yes. Beyond a doubt it's worth it. and laugh while pointing at the images and talk animatedly with each other, and to have old men with elaborately turbaned and ancient faces tell me "thank you" in halting English, makes me prouder than anything I've ever done in this country. young boys look at a photo of a busy Kabul street for 20 minutes as though they were right there -- never having seen such a scene in person. we were treated with honor and grace from the entire village. Invited to lunch, for tea, and with multiple offers to spend the night with families. The same response I have been beyond blessed to experience in many other Afghan villages, proving time and time again: Hell yes. It's SO worth it. I'm honored to bring this show to Afghanistan. 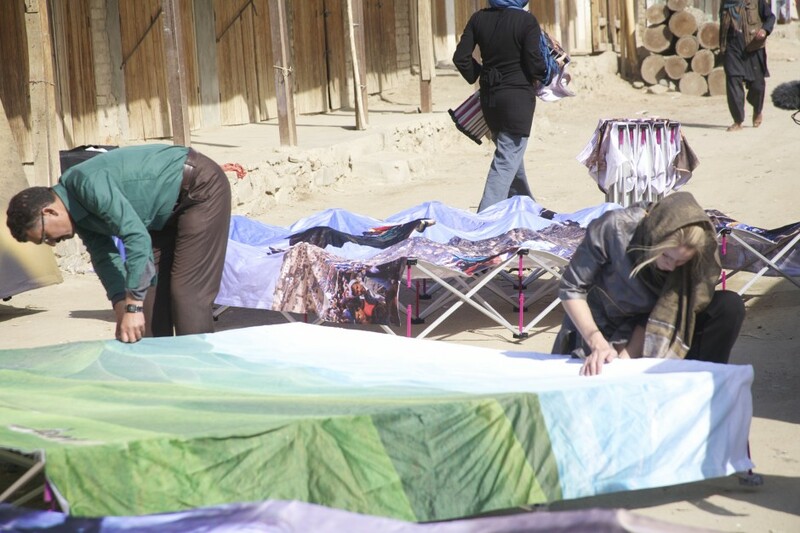 I'm honored to showcase another side of Afghanistan back home. Yeah, it's worth it.